Its that time of year again. Time for Tony and Darryl’s birthday party. And you know what that means! 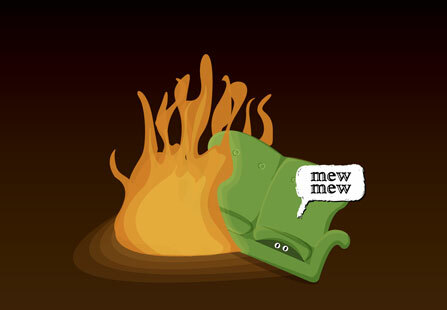 Burning furniture! This entry was posted in Illustration, Images, Life and tagged Cat, Couch, Illustration, Party on May 19, 2006 by Bryan Bortz.